Oooh — must be nearly Christmas. 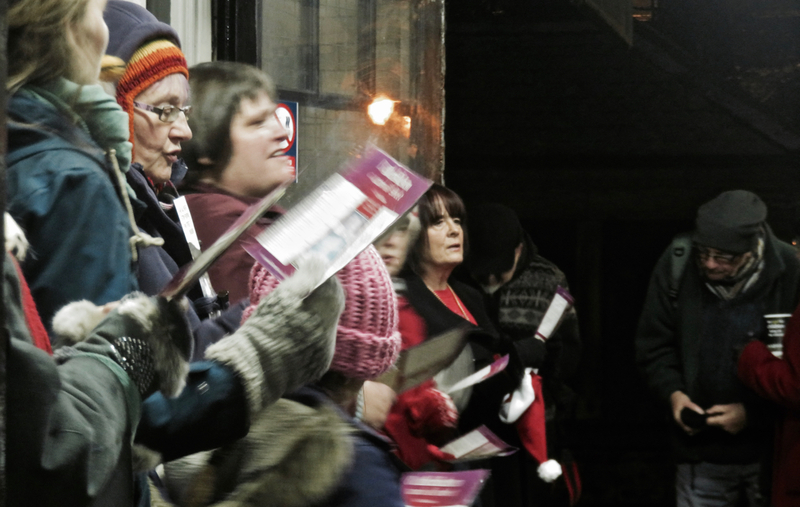 The carol singers are out. But it’s a nice way to raise money, in this case for the Railway Children charity (protecting street children in India, East Africa and the UK); and greeting us poor commuters as we stagger home on another freezing cold evening.